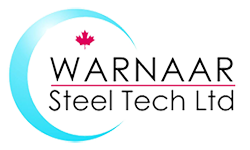 We have a fully integrated structural steel fabrication facility. We use the latest material handling software, modern fabrication equipment and dedicated fabricators that adheres to quality standards. All of these factors combine to create a production cycle that is second to none. Our qualified installation crews can handle even the most technically demanding jobs. These projects are accomplished by our erectors delivering on strict schedules in a safety conscious manner. We have complete design and detailing capabilities. Our detailing team consists of a fully staffed detailing department utilizing Tekla Structures 3D modeling software. We also have a very close working relationship with engineering consultants and detailing firms for any over-flow work that may need to be handled.